Another week of 2014 is gone, insanity I tell ya! This past weekend Paula and I loaded up in my birthday present (Nate bought me a car…how awesome is he?!!) and headed to see family in Idaho for a few days. In case you’re wondering no one has more fun than we do 🙂 Here’s a tiny little video so you can laugh and smile with us. Next week is Thanksgiving, can you believe it? This year has literally flown by. Have a wonderful week! 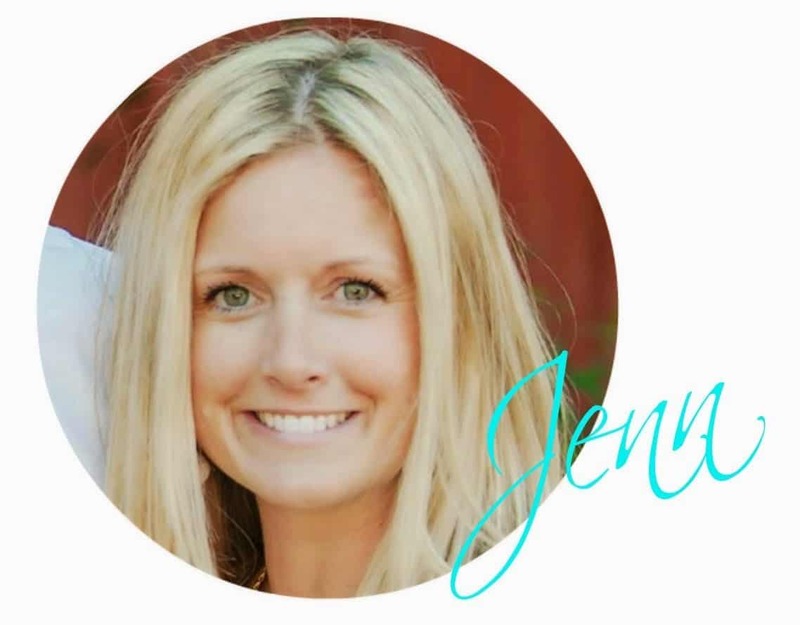 Welcome to the Riverton Housewives Round Up #137! We want to see it all! Recipes, crafts, organization, refashioning…whatever you can come up with! ~Please pick a couple of your favorite posts and link up. Just make sure it’s nothing you’ve linked up with us before! 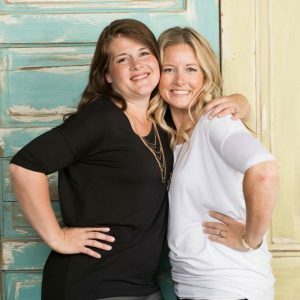 ~And we’d love for you to check out a few other linkers to share the love! 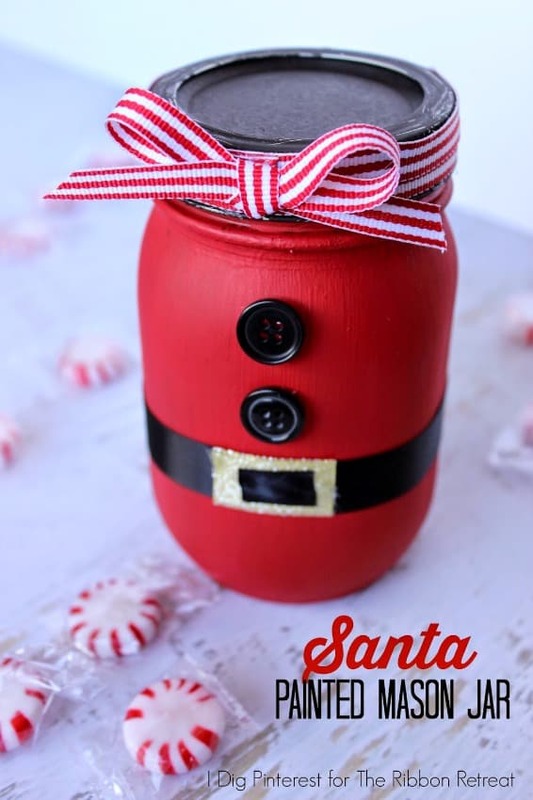 If you’re looking to get a jump start on Christmas you should head over to The Ribbon Retreat Blog, it’s full of wonderful ideas including this Santa Painted Mason Jar. Isn’t it so adorable. Life is Poppin’ is treating us to this adorable (and simple) Thanksgiving treat. 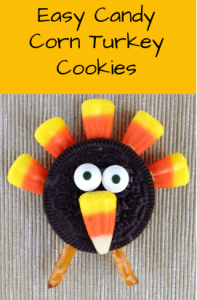 My kids are going to have so much fun making these Easy Candy Corn Turkey Cookies. Speaking of Thanksgiving! If you’re looking for some fun activities to do throughout the day the Lou Lou Girls have a whole bunch of Family Friendly Thanksgiving Games to keep everyone busy and having fun. 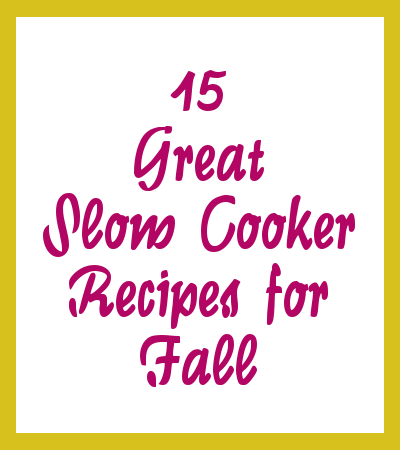 Our most viewed for the week comes from It’s Always Ruetten and is a Round Up of Slow Cooker Meals for Fall. I don’t know about you but I am incredibly intrigued by the Pizza Soup, I think my kids would love it. We’re always so thankful to everyone who comes and parties with us. I’m looking forward to you all helping me figure out my menu for the upcoming weeks and of course there are crafts that need to be made. I can’t wait to see what you’ve been up to! Oh man looks like you guys had so much fun this weekend! Thanks for hosting another great party! Hope you all have a fantastic week!